Every year the same debate rages on in college football. Who's number one? 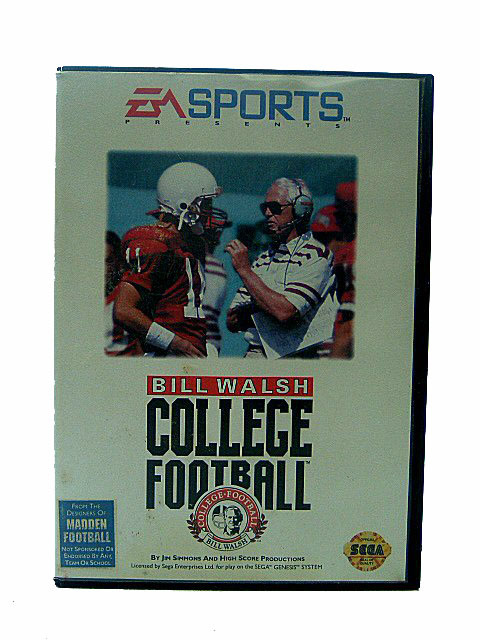 Well, now you can have a say in that decision with BILL WALSH COLLEGE FOOTBALL for the Sega Genesis. Take your pick from 48 teams 24 present-day squads and 24 of the best teams since 1978 and hit the field for intense gridiron action. You can lead your school through an 11-game season and see if you've got what it takes to win the national championship. There are 68 classic plays on offense, including the popular wishbone and student body. The innovative 360-degree replay system allows you watch any play from virtually any angle, ending any kind of dispute you and your friends may have over a questionable call. You'll get scouting reports on every team from Bill Walsh, college and pro football coaching legend, preparing you for every possible opponent.